If a claimed iPhone 6 SIM card tray is anything to go by, Apple’s upcoming handset(s) will be offered in Space Grey, Silver and Gold finishes, just like the current iPhone 5s lineup. 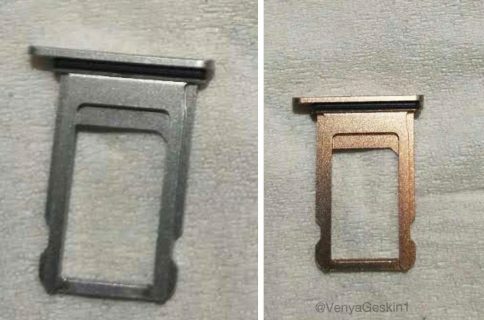 Sources on Tuesday posted new images that seemingly depict claimed iPhone 6 SIM card trays in three color options as well as purported power and volume flex cables. 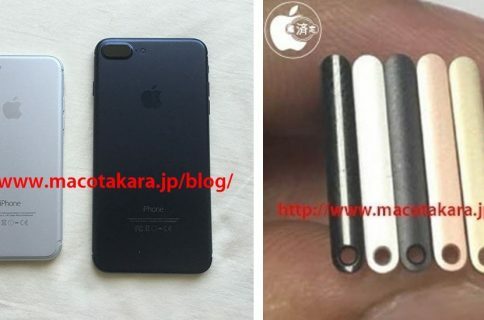 MacRumors passes along photographs first published by Letem svetem Applem [Google translate] which suggest strongly that Apple won’t be providing new color options for its purported bigger iPhones outside the existing Silver, Space Grey and Gold choices. 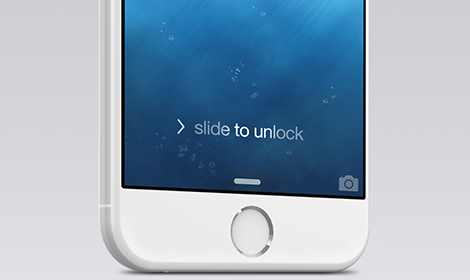 Last week, a claimed iPhone 6 back plate in silver was shown off in a video. At any rate, take this with a pinch of salt as it’s possible that we’re looking at existing SIM trays here, abandoned prototypes or even someone’s elaborate hoax. The images also point to a larger separation between the mute button and volume buttons, suggesting a larger-sized power button on the side of the device as well. 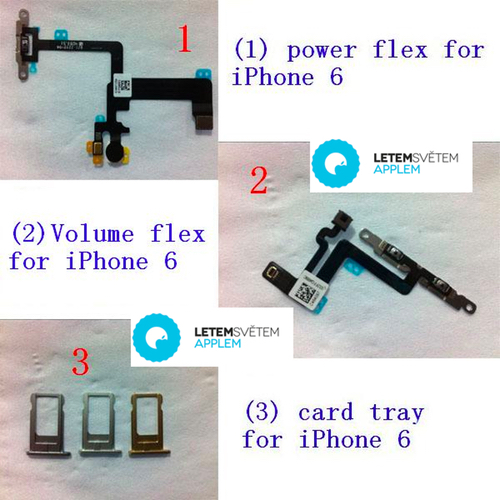 As for the layout of the flex cable itself, it appears to follow the internal design changes observed on leaked iPhone 6 schematics. According to the rumor-mill and big media like The Wall Street Journal, Apple will be introducing the iPhone 6 alongside the iWatch this Fall. My only wish is that Apple brings back the black option because it looks really effective – my iPhone 5 was in black and I reluctantly switched to a space grey iPhone 5s.